For all ladies out there, I think this gonna be a very useful tool for all of you. 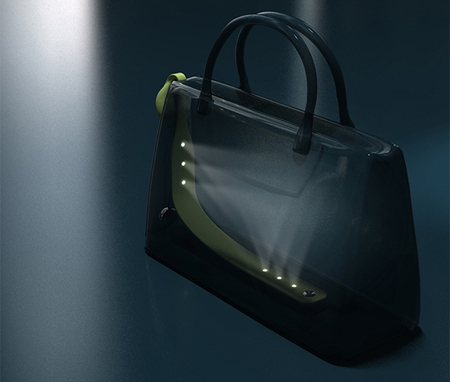 This is a light for your bags designed by Nicole Osella and it’s called “Bulbo Light Bag” a ribbon with LEDs it generates its own energy for the light. 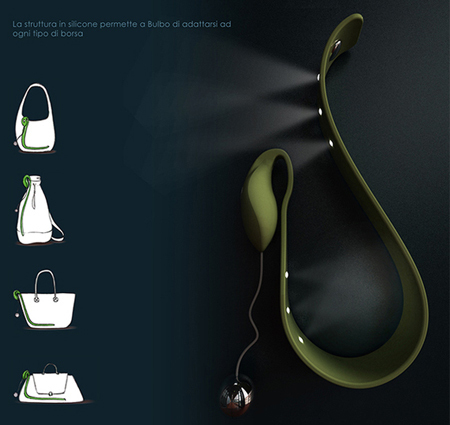 As you can, there’s a sphere that will stay outside the bag to harness kinetic energy.